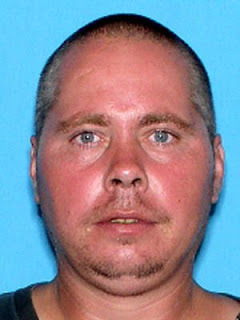 John Henry McGhan was convicted in 1999 for lewd and lascivious molestation on a child. McGhan was living in Michigan and now he is living at the below address in Levy County. For a complete listing of all registered sexual predators and offenders residing in Levy County, or to search by zip code, please visit www.flde.state.fl.us and go to the sexual data base. On July 20, 2011 the Levy County Sheriff's Office Drug Task Force in conjunction with the Army National Guard conducted an aerial search in effort to locate illegal marijuana grows. In the area of S.E. 25 Street off of Hwy 121 numerous marijuana plants were located by Captain Danny Riffle with Levy County Sheriff's Office. Captain Riffle has been spotting marijuana plants since 1983 and has seized millions dollars worth of drugs. Deputies on the ground responded to the area and confiscated 247 marijuana plants. Contact was made with the homeowner, Mark O'Leary who consented to a search of his residence. Inside the residence there were additional marijuana plants, a rifle and a small indoor growing operation. O'Leary has been arrested four times for cultivation in marijuana in 1971-1984-2004 and 2011. 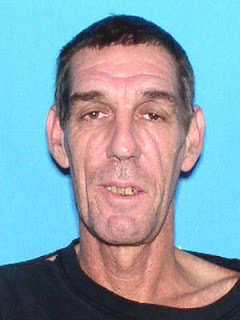 O'Leary was arrested for Cultivation of Marijuana and transported to the Levy County Jail. 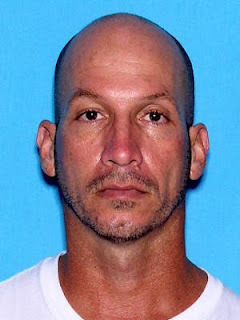 Jose Saul Bruno was convicted in Putnam County in 1998 for sexual battery on a child. Bruno is residing at the below address in Levy County. For a complete listing of all registered sexual predators and offenders residing in Levy County, or to search by zip code, please visit www.flde.state.fl.us and go to the sexual data base. In accordance with Florida Statue 775.21, this is a mandatory notification of the changing of address of a registered sexual offender in Alachua County. Brian Hodge was convicted Alachua County in 2002 for lewd and lascivious battery on person between 12-15 years of age and in 2006 lewd & lascivious battery for lewd and lascivious battery. Hodge is residing at the below address in Levy County. For a complete listing of all registered sexual predators and offenders residing in Levy County, or to search by zip code, please visit www.flde.state.fl.us and go to the sexual data base. Kevin Schroeder was convicted in Taylor County in 2000 for one count of lewd lascivious on a child under 16 years of age and two counts sexual battery on an adult. Schroeder is residing at the below address in Levy County. For a complete listing of all registered sexual predators and offenders residing in Levy County, or to search by zip code, please visit www.flde.state.fl.us and go to the sexual data base. On July 1, 2011 Mr. Freddie Bell reported a John Deere model 5410 tractor and mower valued at $ 15,500 missing from his property. This is the third theft at the old Bongers Dairy farm located at 12550 SE 30th Street in Morriston, Florida. 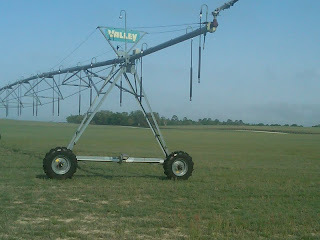 The property is over 1400 acres and is used for commercial horticulture, with planted peanuts. The suspect(s) unlawfully entered the property during the early morning hours of July 1st and stole the tractor/mower out of the barn. The suspects stole the tractor for the purpose of pulling copper wire from the irrigation pump and also entered another barn and stole some copper wire. The suspect(s) concealed the tractor in the woods and it appeared that they would return the following night to finish the job. Special Operations Captain Scott Anderson and Lt. Duane Dykstra conducted a stakeout the following evening. Shortly after 4 O'clock in the morning the suspects returned to the property and went directly to the tractor. The stakeout team allowed the suspects to remove the tractor and drive across the peanut field and went directly to the irrigation pump next to the barn. The suspects had no idea that deputies were following them through the field. The suspects were in the process of stealing more copper wire and they were surprised when Anderson/Dykstra apprehended them at gun point. 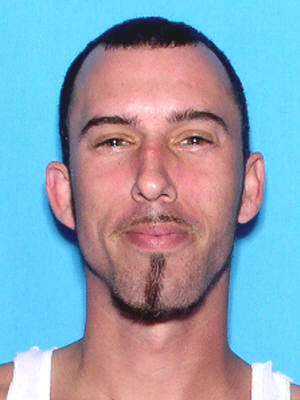 The suspects were identified as Frederick Arthur Mills from Dunnellon and Wayne Joseph Drake from Inglis. Mills was charged with 2 counts of burglary, grand theft, criminal mischief, 2 counts of felony trespassing and petit theft. Mills has a $ 575,000 bond and he has a Citrus County warrant for violation of probation for drug paraphernalia. Drake was charged with criminal mischief and felony trespassing and he has a $ 5,000 bond. This has been a growing trend with suspects stealing copper wire from irrigation pivots. The Sheriff's Office will continue our proactive stance against farm theft and use every means to arrest the subjects. On June 30, 2011, Deputy Mike Joyner has decided after 38 years of full time law enforcement that it is his desire to maintain a status of part-time. Joyner a long time Levy Countian has worked in all areas of law enforcement from patrol work, known state wide as an expert in undercover drug investigations and retiring as Chief Deputy in Jefferson County. Joyner is currently assigned to the Civil Division as a Bailiff protecting Honorable Judge Glant in addition to being an Agriculture Investigator. Joyner will continue on a part time basis to be a Bailiff for Honorable Judge Glant. Effective July 5, 2011 Deputy Grant Sandlin a School Resource Deputy will be assigned this summer on a full time basic to work as an Agriculture Investigator. Deputy Sandlin will educate the farmers on how to protect their farm equipment and investigate all farm crimes. We appreciate Deputy Joyner's dedication, knowledge and hard work to the Levy County Sheriff's Office and to the farm community. We are encouraged that Deputy Sandlin has stepped up to the plate and will serve the farmers in Levy County.